Termites: They are tiny wood-eating insects that most people seem to believe will never end up in their home. It is often the case that people who end up with termite infestations never saw it coming. They noticed a little bit of mess one day, and the next thing you know you're risking falling walls and a failing foundation because of these little critters. 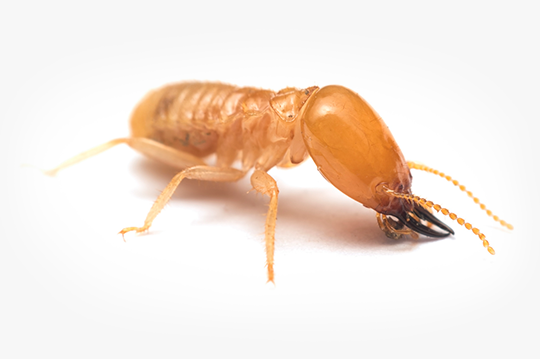 Though rather than thinking you can handle termites the same way you would roaches or spiders, it's always best to give the professionals a call. Having a do-it-yourself attitude is fantastic, if you're moving in new appliances or sealing the deck. When it comes to termites, however, there is simply too much that could go wrong if you go at it alone. Without the professional expertise necessary, you could end up using harmful chemicals, or nonworking agents that won't rid your home of the termites. You could end up missing the main nest. You could end up actually making the infestation worse, which could result in irreparable damage to the property. So when it's time to handle the termites, it's time to call in the pros. Professional exterminators know which products to use that will not only get rid of the infestation but will also keep you and your family safe. They are highly trained technicians, masters of their respective craft, and so they also have the expertise necessary to completely rid the home of termites once and for all. From a single-family town house to the largest business building around, our professionals are registered practitioners and know precisely how to treat the issue of termite infestation. Every single one of our technicians stands out as an expert in his field. They go through schooling and training to master every single aspect of the job, from the products they will be using, to the behaviors and nesting habits of the termites. Our techs perform these sorts of jobs regularly, and there is no infestation too big or small for our experts to handle. Professional expertise is vital when driving out infestations. What you will receive from our expert service is a two-pronged visit. What happens first, after you contact us about the termite issue, is that we send out an expert inspector to examine around the property to find out just how deep the infestation goes. This allows our inspector to know the actual depth of the issue, and subsequently the best steps to take in order to stop it completely. Our inspector will work up a graph of the property, create a chart for the problem, and quote you a price to get rid of the termites. After a quote has been agreed to, the next step in our service visit is to send out our expert technicians. You will receive two to four techs, depending on the size of the property, and they will expertly handle the problem. Applying the Termidor 80wg termiticide to the foundation and outside areas ensures that your home will no longer be plagued by termites. Our products are the best on the market, and in the hands of our professional technicians, you can rest assured that your termite problems will be a thing of the past. If you are currently dealing with termite issues, do not wait until they have done irreparable damage. 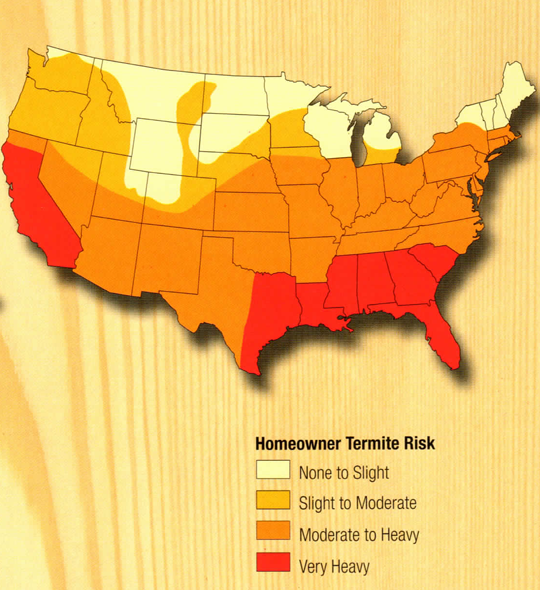 Call us now at 770.928.8000 and allow our professionals to get rid of those termites forever. Every termite colony has at least one king and queen at its center. The queen’s job is to reproduce, and her lifespan is up to 30 years. Thousands of eggs can be laid by a queen yearly. When hatched, the eggs become nymphs. During the nymph stage, termites separate into different roles including workers, soldiers, reproductives, and supplementary reproductives. The largest class of termites are the blind and wingless workers commonly found in infested wood. They are responsible for building, repairing, food gathering, and caring for other termites. Blind, having no wings, and sterile, soldiers have one function which is to defend the colony. This caste of termites will leave the colony and become Swarmers. After swarming, they lose their wings and find a mate. Each new pair tries to begin their own colony. These termites aid with population growth in established colonies and can replace the king or queen if they die.